Don’t bring gender into (board) gaming – or, why I’m sick of seeing dudes ask what games their wives might like. On Boardgame Geek (in various forums), or even occasionally on Reddit or on Twitter, I’ll see requests from (usually) male boardgamers asking what games they should get to play with/buy for their wives/daughters/girlfriends. I want to look a little at this to see why it’s problematic to frame your questioning this way, and how it can only further drive the divide between the perceived binary of genders in gaming. I want to state up front: I am not opposed to people seeking out recommendations for games to play with their significant others or children. I am all for bringing people to the hobby, regardless of if they stay a casual player or become very much a more frequent gamer. If the person you’re trying to encourage is willing to try out stuff, then great! If not, then you can’t magically make them enjoy games, no matter how great you think those games are (this is hard to swallow! I know!) and just asking for recommendations based solely on gender will certainly not help with that. I’ve had great success by playing accessible, casual games with people, leading to a great and enthusiastic response – rather than saying something akin to, “Oh hey! You’re a lady therefore you most likely sew, and therefore will enjoy this game Patchwork”, which is never a safe assumption (although that person may end up enjoying that fantastic 2p mostly abstract game with challenging decisions because it’s awesome). So, let’s move on. The most important point here is gender. Within gender as the focal point here, the false assumption that gender identity is binary and the essentialism that goes along with that assumption. Essentialism is the concept that something (an object, an animal, a group of people, etc) is marked by an unchanging, assumed state of being, that something has an “ultimate reality” – for instance, that cultural practices are static and unchanging, or that the earth is definitely flat and that can never be different. This gender essentialism – 2 options, unchanging, unmalleable – tends to plague a lot of questions about what games to recommend to a person (usually without meaning to, or realizing). Gender essentialism when asking these questions is, by its very nature, quite reductionist. That is, thinking that every man shares the same interests and wants to play certain games, and that women would have a different set of interests and therefore different needs out of game playing, means you have 2 narrow definitions of people. What this doesn’t take into account is the spectrum of gender that all of us exist on – no one woman is precisely performative of the ideal “feminine” concept of what a woman should be, nor is any man entirely representative of the “masculine” concept for men. On top of this all, the gendered questioning regarding game recommendations completely ignores those who are non-binary, gender fluid or trans*. When I see a request for game recommendations for “my wife/girlfriend/daughter”, it very rarely comes with any qualifying factors such as “has this person played games before at all?” “has this person has enjoyed (x) type of game?” or “this person enjoys (y) type of theme or (z) type of gameplay”. What these sorts of gender-based queries assume is that women who aren’t gamers (or at least game infrequently) will all be interested in the same kinds of games. That’s a presumption that shouldn’t be made about anyone – even if they’ve not played board games before, or even if they have! I understand, of course, that nouns such as wife/husband, daughter/son are useful in a way that defines the poster’s relationship to this person rather than saying something like “I’m looking for games Betty might like”, a less helpful pointer as to who the person is. Unfortunately, this use of nouns then lands us in the waters of murky gendered assumptions, where the “wife” must be understood in feminine terms as must the “son” or “daughter” in terms of what games they’d be interested in (where, with children, I believe age is a far more important category to use for game recommendations, on top of interests/games enjoyed previously). Personally, I would hate to be stereotyped into a box of what “women” are, and should like as far as board games go. My interests are varied outside of board games, and that drives me to be interested in trying all sorts of games, especially when theme is involved. But it must also be realized that my interests don’t define me entirely. I’ve certainly never been interested in building an estate in medieval France, but heck if one of my favourite games isn’t Castles of Burgundy. I love the gameplay so much! If you had a partner who had assumed on behalf of your gender presentation alone that a particular game might not be up your alley, you might never know what games you’re missing out on. Make the effort to consider someone as a whole person – their interests, the types of fun they like to have, what games they’ve liked before – and you will likely be far more successful in encouraging that person to game, and have fun while doing it. And – as a bonus – come back for more! 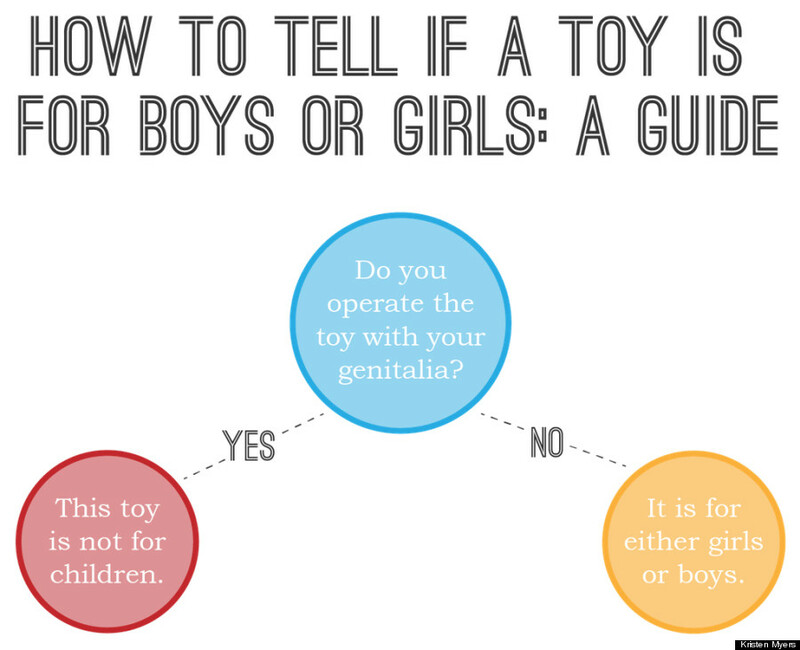 I’d like to leave you with an image that I keep going back to when I see all sorts of gendered marketing and gendered questions when it comes to finding toys/games etc. While it is pretty basic (it tends towards biological assumptions rather than gender identity) I still think it makes a great point. Don’t boil your decisions down to something you’re assuming one “type” of person is – in all areas of your life, it will be a great way to go forward. Image by Kristen Myers. Click through for more info. The first time I went to Algonquin Park was back in 2007, when I went for a long day trip. I hugged a big tree, saw a moose and a chipmunk and was generally delighted with how lovely it was there. It’s astonishing I haven’t made it back until this year, so I got pretty excited at the prospect of a 4 day weekend of camping there! Friends Dan & Kirsty had been camping in Algonquin Park before & are all set up with great gear & know-how so they were our bastions of excellence for the trip! We decided on a pet-friendly campground (Canisbay Lake) so we could bring our dogs, and got all set with plans. Pals Fiona & Dan were coming too, so we bundled into their car with Jake for the trip! Luckily Dan & Kirsty had a lot of what we needed, and we were able to borrow a tent from friends here in Toronto who camp often. It was so nice to get away for a slightly extended long weekend (thanks, civic holiday!). While the weather wasn’t perfect (rain showers each day, and big rain overnight our last night there), we made the most of the non-rainy parts of the weekend. For starters, we went canoeing! I had never done this before and was slightly nervous about being out on a big lake in a small boat – but it was so fun. Once we got ourselves sorted out and paddling nicely, we had a couple of trips. One was to toodle around a small island in the lake not far from the main beach, and then the other was to follow a bit of the shoreline around in a loop. It’s a calming thing, having a nice paddle on a gorgeous lake. We also went on a nice big hike on the Track and Tower trail – it was lovely to be properly out in the woods and see a couple more lakes, and go up to the lookout there. We weren’t exactly right in the wilderness with our campsite, so the hike was great to have a taste of that and get some exercise. The dogs loved it too! Jake really took to wandering up and down the trail with us, and investigating everything. We didn’t see any wildlife, but heard a bunch of birds and saw gorgeous flora and geology! Apart from the great outdoor adventures, it was just super to hang out with two of my fave couples! We did some fun camp cooking (and Dan and Kirsty were the BEST about bringing delicious stuff for Adam and I to add to our tofu etc), and I had my first smore and made a fire cone! And when we weren’t eating (which, let’s face it, we were eating a lot), we played some games! We also had some fun with weird fire and sparklers on our last night before the rain hit. It was a great weekend, and I felt so rejuvenated being out there in Algonquin, which is a stunning provincial park. Having a dip in the lake, sitting by the fire, cuddling Jake and Adam in the tent and waking up to the sounds of birds was just what I needed! Sure it was nice to come home to creature comforts, but I’m already thinking about the next time I can get away camping! If you enjoyed the photos here, my full set is on Flickr.